For other uses of "Flushing", see Flushing (disambiguation). Vlissingen (Dutch pronunciation: [ˈvlɪsɪŋə(n)] ( listen ); Zeelandic: Vlissienge; historical name in English: Flushing) is a municipality and a city in the southwestern Netherlands on the former island of Walcheren. With its strategic location between the Scheldt river and the North Sea, Vlissingen has been an important harbour for centuries. 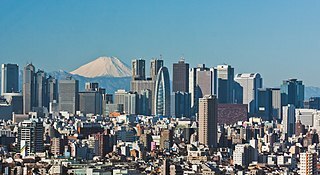 It was granted city rights in 1315. In the 17th century Vlissingen was a main harbour for ships of the Dutch East India Company (VOC). It is also known as the birthplace of Admiral Michiel de Ruyter. Oost-Souburg is a town in the municipality of Vlissingen. Ritthem is a village in the Dutch province of Zeeland. It is located in the municipality of Vlissingen, about 4 kilometres east of the city. West-Souburg is a village in the Dutch province of Zeeland. It is part of the municipality of Vlissingen, and now almost completely surrounded by suburbs of the city of Vlissingen. Once one of the most important settlements on the Zeeland island of Walcheren, West-Souburg is now a very small place that some consider nothing more than a suburb of Vlissingen. The Arrival at Vlissingen of Frederick V, Elector Palatine, by Hendrick Cornelisz Vroom, oil on canvas. The fishermen's hamlet that came into existence at the estuary of the Schelde around AD 620 has grown over its 1,400-year history into the third-most important port of the Netherlands. The Counts of Holland, Flanders, and Zeeland had the first harbours dug. Over the centuries, Vlissingen developed into a hub for fishing, especially the herring fishery, commerce, privateering and the slave trade. Under the Treaty of Nonsuch, English garrisons were stationed here and at Brill to keep these ports out of Spanish hands. During the heyday of the Dutch Golden Age, ships from Vlissingen set sail for the various outposts of the Dutch colonial empire and contributed to the world power of The Seven Provinces. The County of Zeeland was a county of the Holy Roman Empire in the Low Countries. It covered an area in the Scheldt and Meuse delta roughly corresponding to the modern Dutch province of Zeeland. The County of Zeeland did not include the region of Zeelandic Flanders which was part of Flanders; conversely, the modern Province of Zeeland does not include Sommelsdijk, historically part of the County of Zeeland. Vlissingen's seaside boulevard at the start of the 21st century. The derivation of the name Vlissingen is unclear, though most scholars relate the name to the word fles (bottle) in one way or another. According to one story, when saint Willibrord landed in Vlissingen with a bottle in the 7th century, he shared its contents with the beggars he found there while trying to convert them. A miracle occurred, familiar to readers of hagiography, when the contents of the bottle did not diminish. When the bishop realised the beggars did not want to listen to his words, he gave them his bottle. After that, he supposedly called the city Flessinghe. Another source states that the name had its origins in an old ferry-service house, on which a bottle was attached by way of a sign. The monk Jacob van Dreischor, who visited the city in 967, then apparently called the ferry-house het veer aan de Flesse (the ferry at the Bottle). Because many cities in the region later received the appendix -inge, the name, according to this etymology, evolved to Vles-inge. According to another source, the name was derived from the Danish word Vles, which means tides. The eastern cape of Novaya Zemlya, Cape Flissingsky was named after the city in 1596 by Willem Barentsz. Vlissingen was historically called "Flushing" in English. In the 17th century Vlissingen was important enough to be a town that English speakers referred to and that had acquired its own English name. For example, Samuel Pepys referred to the town as "Flushing" in his diaries. In 1673 Sir William Temple referred to Vlissingen as "Flushing" once and "Flussingue" twice in his book about the Netherlands. Some English writers in the Netherlands also used the Dutch name. Flushing, originally a Dutch colonial village founded in 1645 and now part of Queens, New York City, was first called Vlissingen after the town in the Netherlands. The English settlers who also came to live in the village  shortened the name to "Vlissing" by 1657 and then began to call it by its English name "Flushing." The Anglicisation of "Vlissingen" into "Flushing" did not occur after the conquest of New Netherland, but in England well before then. This village was the site of the Flushing Remonstrance. The village of Flushing in Cornwall was also named after Vlissingen. Originally named Nankersey, the village was given its name by Dutch engineers from Vlissingen in the Netherlands who built the three main quays in the village. Michigan and Ohio in the US have villages called Flushing as well. 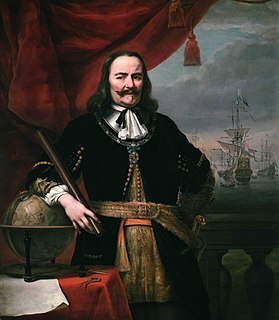 A number of Dutch admirals were born in Vlissingen. Among them are Michiel Adriaanszoon de Ruijter, Joost and Adriaen Banckert and the three admirals Cornelis Evertsen. See further People from Vlissingen. Railway stations: Vlissingen, Vlissingen Souburg. Ferry connection to Breskens, since the Western Scheldt Tunnel was opened on March 2003 for pedestrians and cyclists only. There used to be a ferry service to Sheerness operated by Olau Line. It was terminated in 1994. Vlissingen is the setting for part of Arthur Ransome's children's adventure novel We Didn't Mean to Go to Sea. Vlissingen is also the setting for most of the film The Fourth Man. Woensdrecht is a municipality in the southern Netherlands. The Western Scheldt in the province of Zeeland in the southwestern Netherlands, is the estuary of the Scheldt river. This river once had several estuaries, but the others are now disconnected from the Scheldt, leaving the Westerschelde as its only direct route to the sea. The Western Scheldt is an important shipping route to the Port of Antwerp, Belgium and unlike the Eastern Scheldt estuary, it could not be closed off from the sea by a dam as part of the Delta Works. Instead, the dykes around it have been heightened and reinforced. Sluis is the name of both a municipality and a town located in the west of Zeelandic Flanders, in the south-western part of the Netherlands. Zeelandic Flanders is the southernmost region of the province of Zeeland in the south-western Netherlands. It lies south of the Western Scheldt that separates the region from the remainder of Zeeland and the Netherlands to the north. Zeelandic Flanders is bordered to the south by Belgium. Breskens is a harbour town on the Westerschelde in the municipality of Sluis in the province of Zeeland, in the south-western Netherlands. Its population is 4,787. The Tromp class were two frigates built for the Royal Netherlands Navy during the 1970s to replace the De Zeven Provinciën-class cruisers as squadron flagships. Adriaen van Trappen Banckert was a Dutch admiral. In English literature he is sometimes known as Banckers. His first name is often rendered in the modern spelling Adriaan. Van Trappen was the original family name, but the family was also and better known under the name of Banckert. In the 17th century Netherlands such a situation was solved by combining the two names. Vlissingen is a terminus railway station in Vlissingen, Netherlands. The station opened on 1 September 1873. The station is at the western end of the Roosendaal–Vlissingen railway and has 3 platforms. This station is less than 100 metres (330 ft) short of being the westernmost station in the Netherlands: that is Vlissingen Souburg, the second station in Vlissingen. The station Vlissingen was formerly called Station Vlissingen-Haven. Biezelinge is a village in the Dutch municipality of Kapelle. On January 1, 2009, it had 1605 inhabitants. The Zeeuws Maritime MuZEEum is a maritime museum in the center of Vlissingen, situated on the marina of the city. It is the successor of the Stedelijk Museum in Vlissingen. It is housed in a building once owned by the Lampsins family, prominent in the shipping business in the 17th century. HNLMS De Ruyter (F806) was a frigate of the Tromp class. The ship was in service with the Royal Netherlands Navy from 1976 to 2001. The frigate was named after Dutch naval hero Michiel de Ruyter. The ship's radio call sign was "PAEP". ↑ Garrett Mattingly (1959), The Armada , Boston: Houghton Mifflin, Ch. V, "Plans of Operations", p. 44. ↑ "Klimaattabel Vlissingen, langjarige gemiddelden, tijdvak 1981–2010" (PDF) (in Dutch). Royal Netherlands Meteorological Institute . Retrieved 10 September 2013. ↑ "Klimaattabel Vlissingen, langjarige extremen, tijdvak 1971–2000" (PDF) (in Dutch). Royal Netherlands Meteorological Institute. Retrieved 10 September 2013. Wikisource has the text of the 1911 Encyclopædia Britannica article Flushing (Holland) .